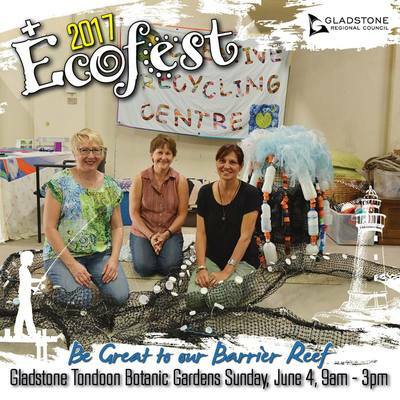 Be Great to our Barrier Reef! 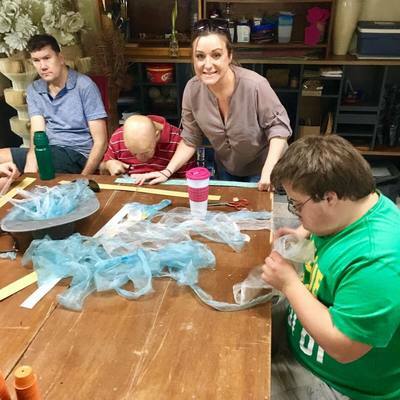 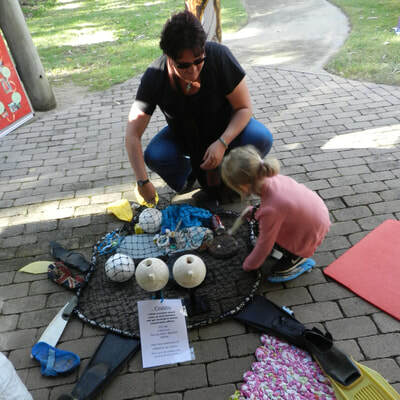 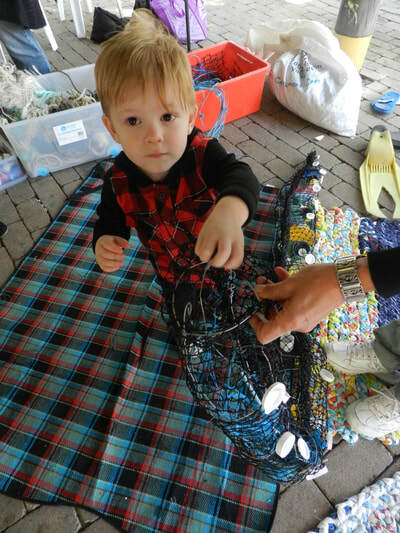 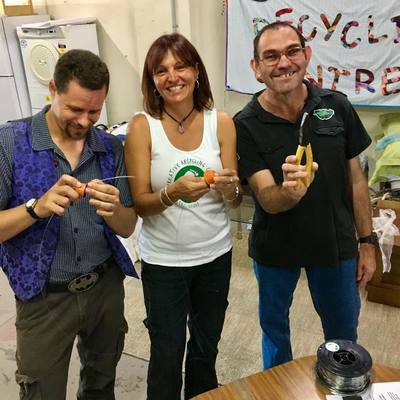 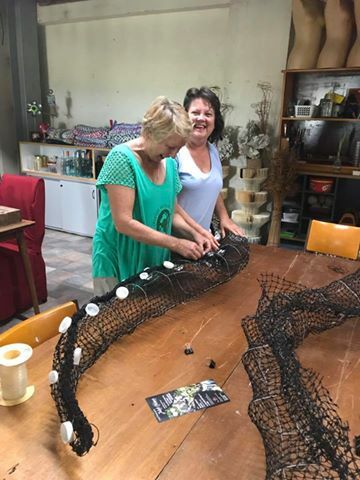 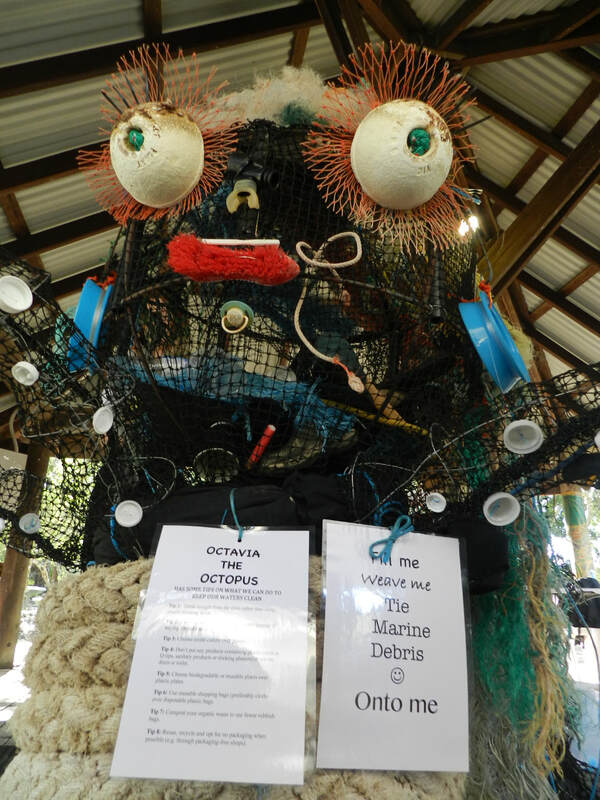 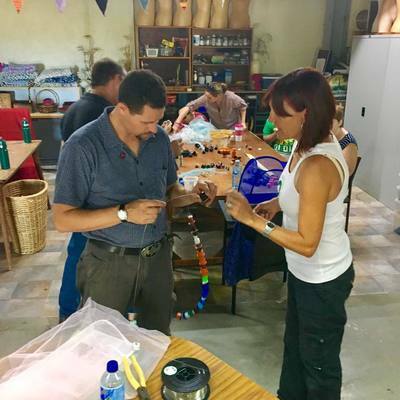 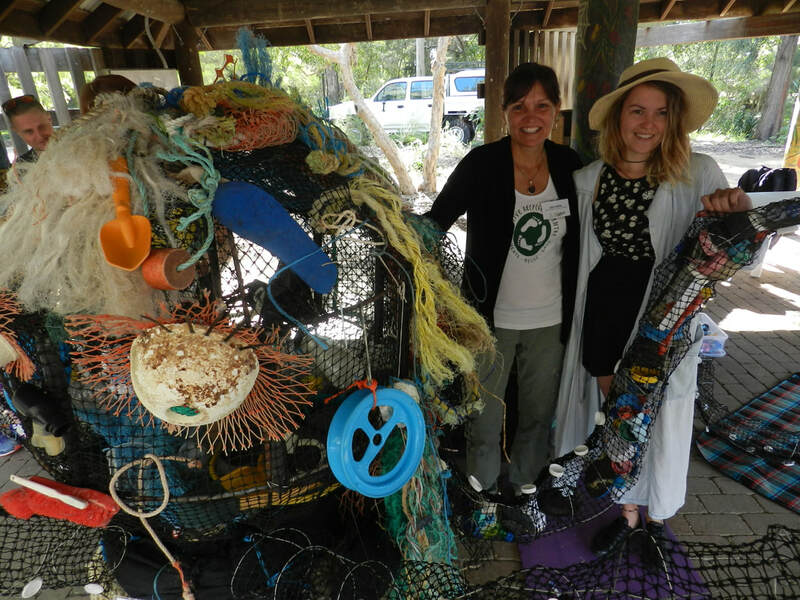 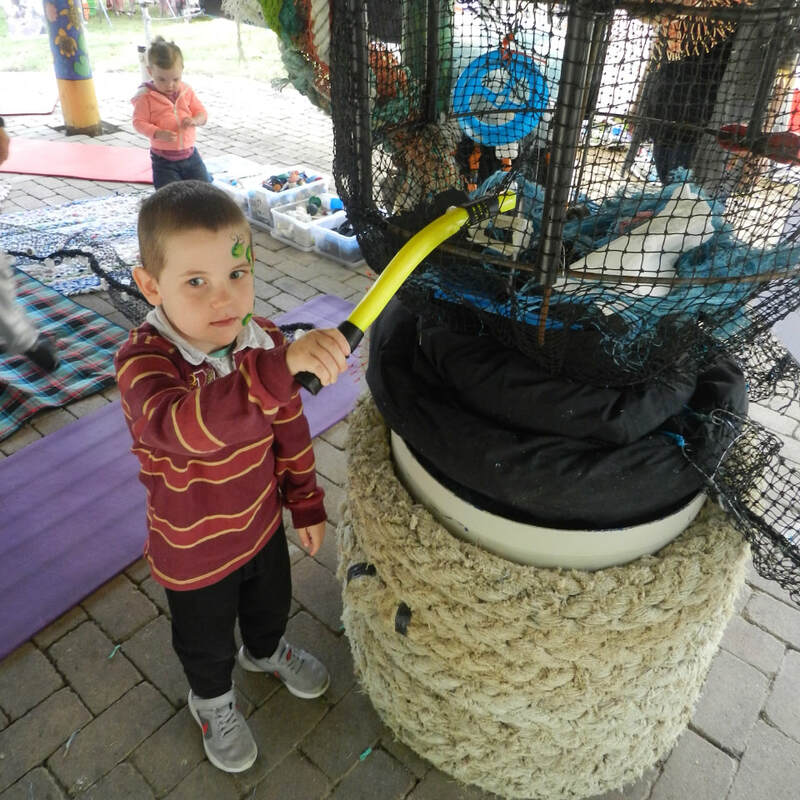 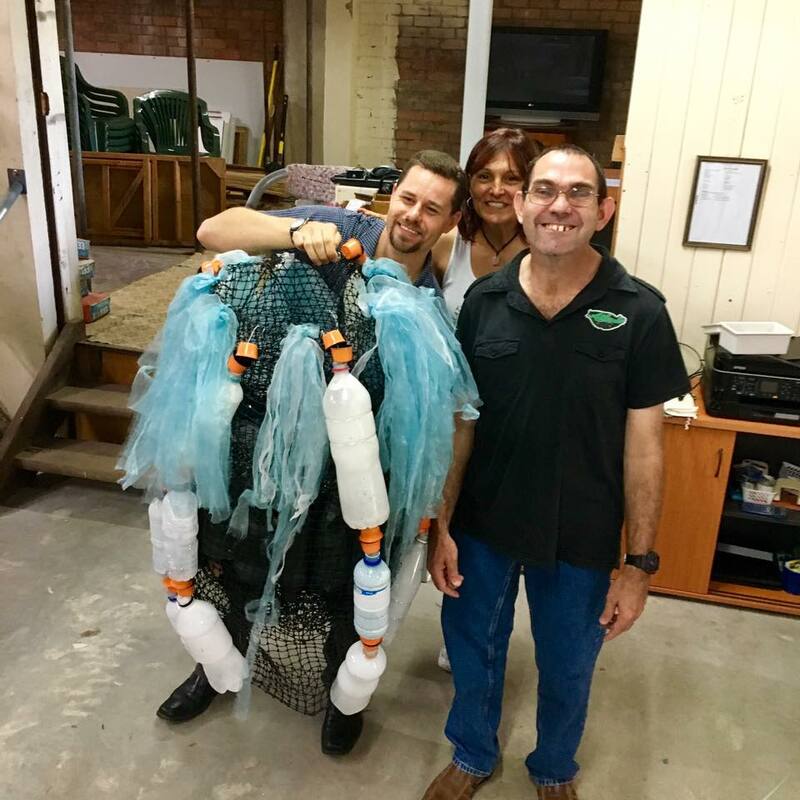 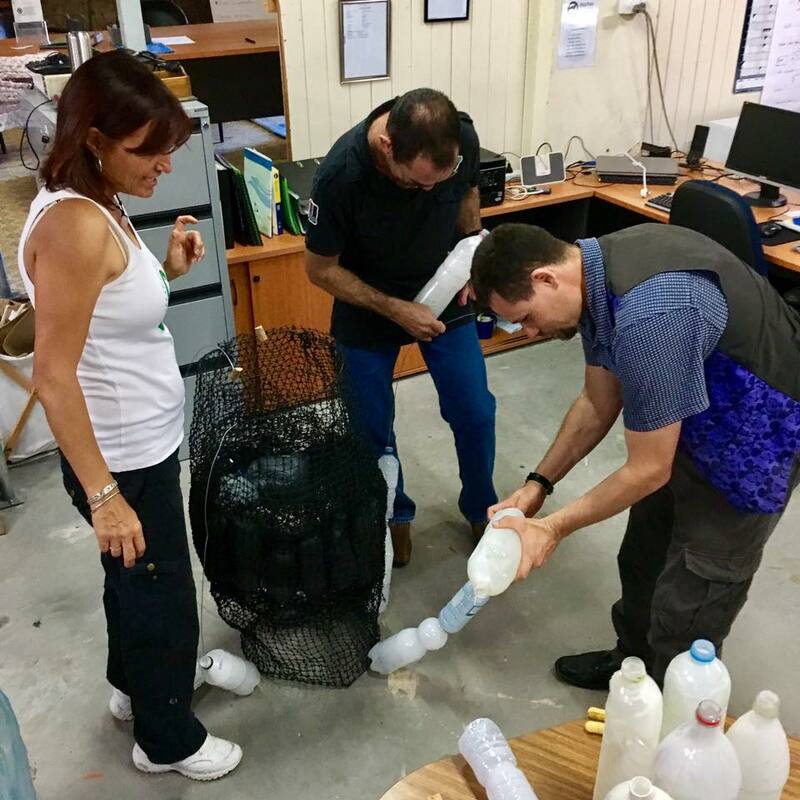 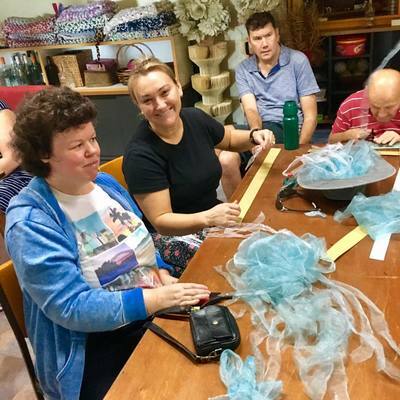 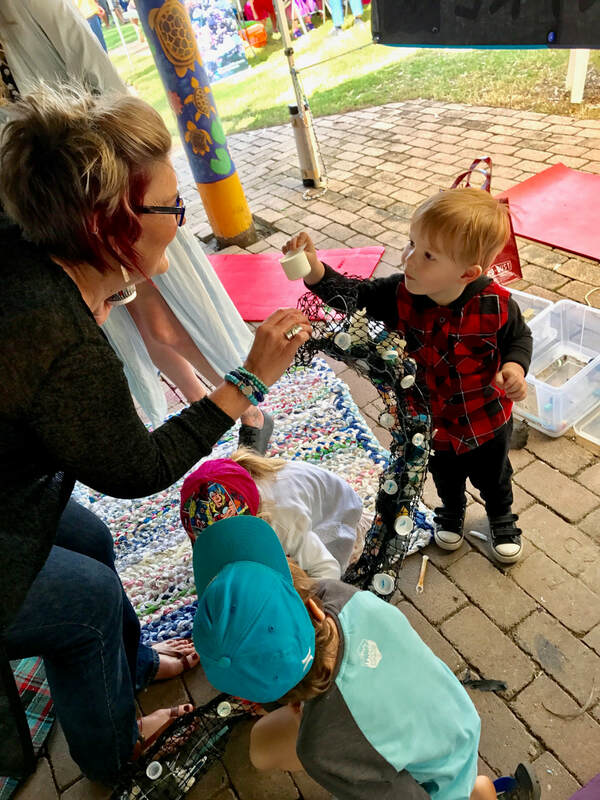 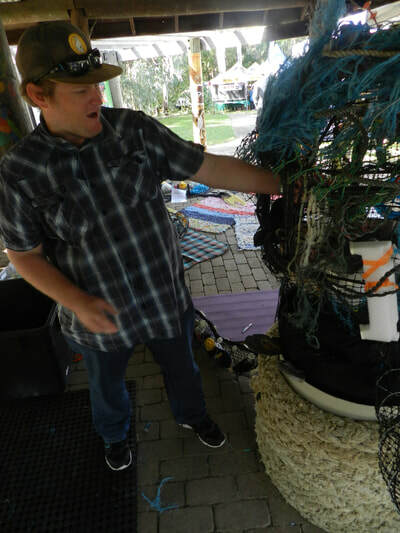 The Creative Recycling Centre together with local artist Julie Miers facilitated the construction by Gladstone residents of Octavia the Octopus from local marine debris including nets, fishing line and plastics at Ecofest in June this year. 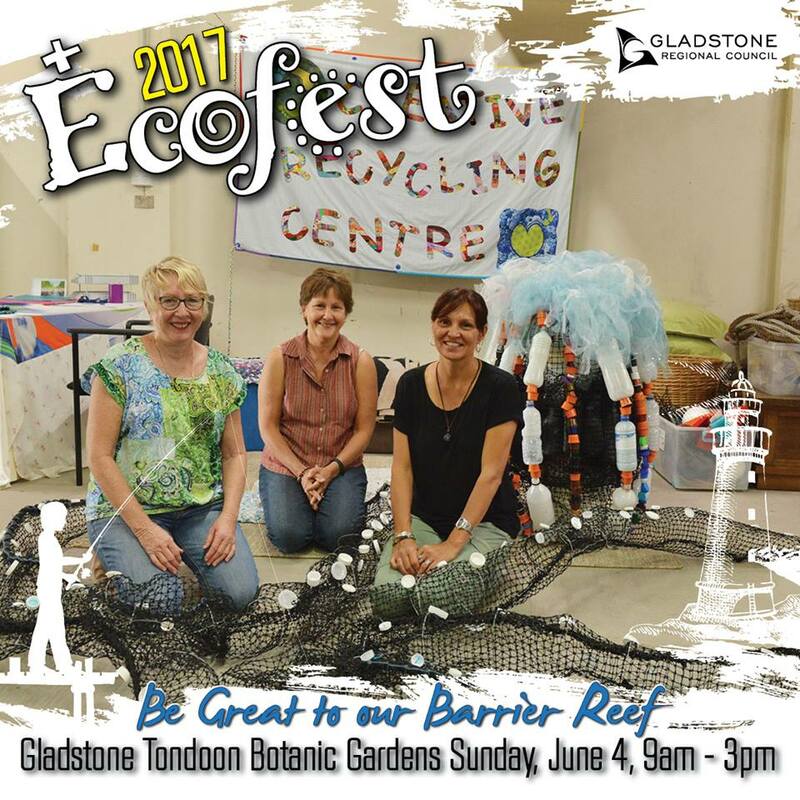 The project is supported by Gladstone Festivals and Events, Regional Arts Development Fund and Conservation Volunteers Australia. 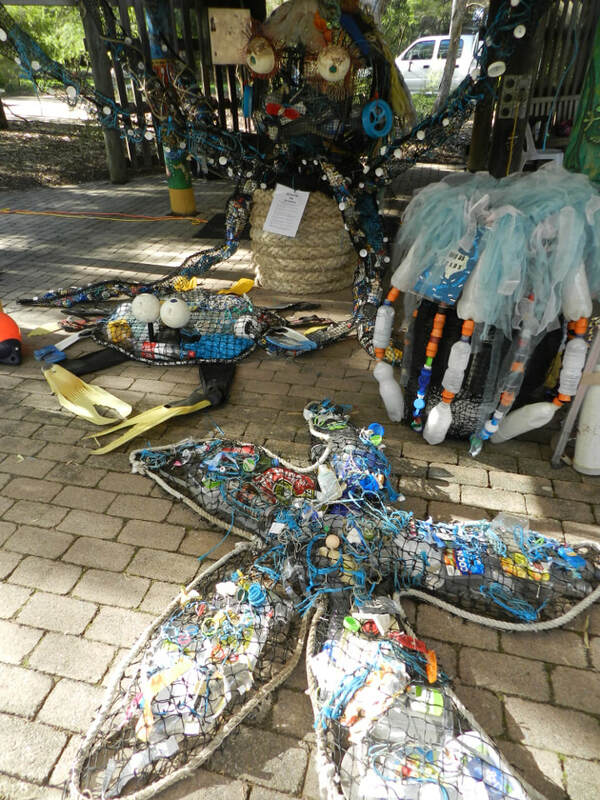 Gladstone Region Mayor Matt Burnett said the sculptures demonstrated the amount and types of rubbish that end up on our local beaches. 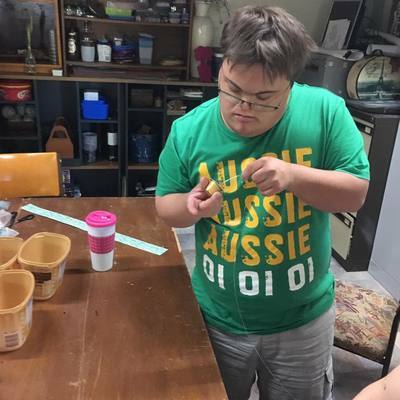 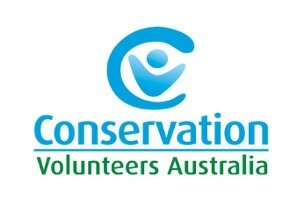 CRC volunteers also engaged the public in discussions about the impact rubbish has on marine life and provided an overview of the recycling motto – reduce, reuse, recycle. A BIG Thank you to all the volunteers that helped create OCTAVIA THE OCTOPUS! 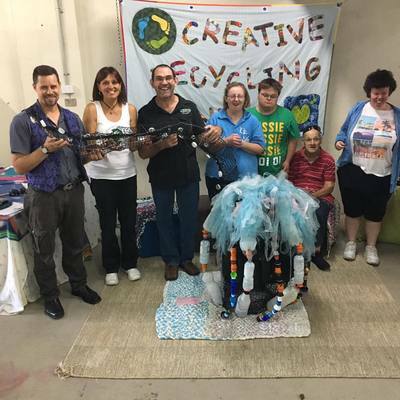 Raising awareness of the impacts of pollution through creating art with rubbish was CRC's aim at Eco Fest 2017. 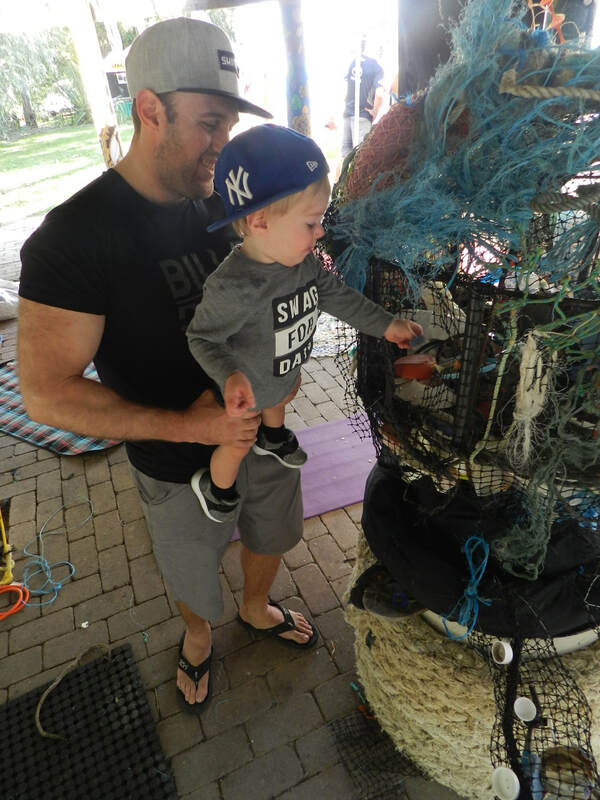 This years theme, "Be Great to our Barrier Reef," was a perfect opportunity to do something in a creative way to get people thinking in a new way. 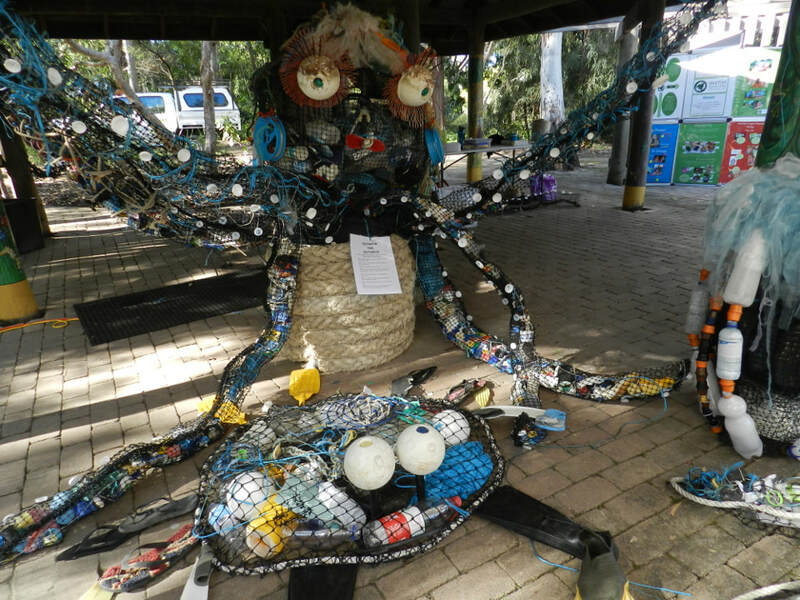 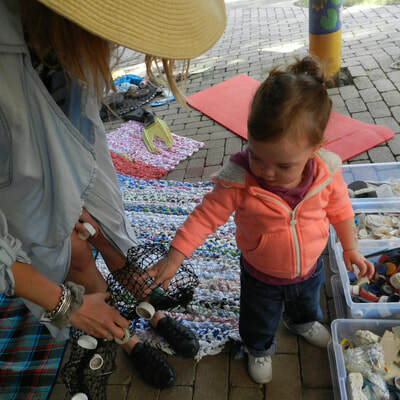 We had a lot of helpers, big and small, weave or tie debris onto our Marine debris Sculpture, Octavia the Octopus.